Modern bosses can learn something from this ancient wisdom. 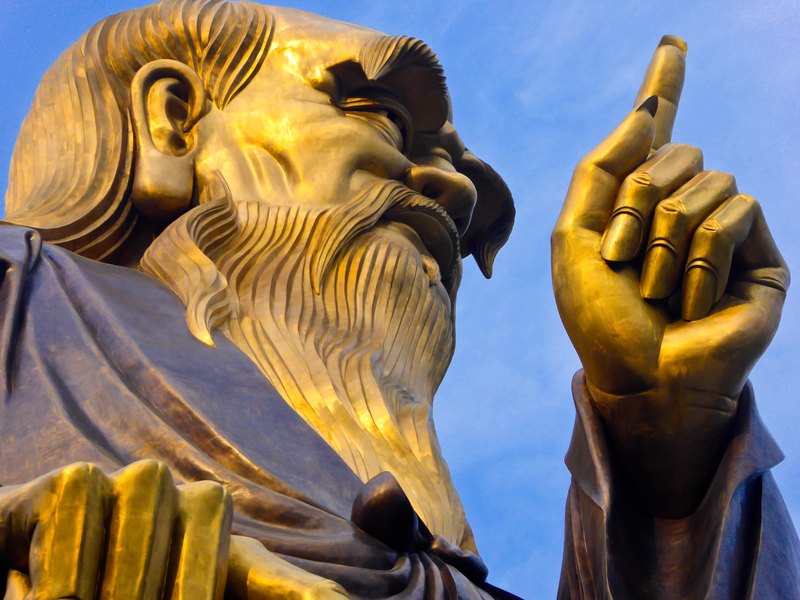 When it comes to dealing with modern challenges of leadership, it can help to turn to ancient wisdom — Lao Tzu in particular. That name may sound familiar from your high school history class or intro to philosophy course in college, but the life lessons and thought-provoking maxims are well worth revisiting in adulthood. The name Lao Tzu means “old man” or “old teacher,” and there isn’t consensus on whether he was one single person, or a collection of philosophers writing under the name. But regardless of the specific person (or people) behind them, these three lessons — all from the Tao Te Ching — provide us with insights into Lao Tzu’s idea of successful leadership, and hold up just as well in 2019 as they did when he (or they) wrote them around the 6th Century B.C.E. An effective leader inspires their team to take pride in their work and feel a sense of ownership over it. Part of that involves trusting them, and trusting that they want what’s best for the company, team, and project. For example, micromanaging can give the impression that a leader doesn’t think their team is capable of accomplishing a task or project. The more of a stake that a leader encourages and allows their team members to have, the greater the likelihood that everyone will be satisfied with the result. There is a clear difference between controlling a team and leading a team, and everyone benefits from the latter. Leading involves an element of collaboration, taking the entire team’s thoughts and experiences into consideration rather than making unilateral decisions. Working somewhere with a culture of compassionate, understanding leadership can go a long way toward helping people enjoy their work. Both of these passages from the Tao Te Ching reflect Lao Tzu’s emphasis on the need to lead by example. Once a person achieves a leadership position in an organization, it’s crucial that they set the tone for the rest of the team. If the leader is collected, then it makes it easier for the rest of the team to stay calm as well. But having a leader who is constantly frazzled or angry demonstrates that that’s the tenor of the organization, and others are likely to follow suit.